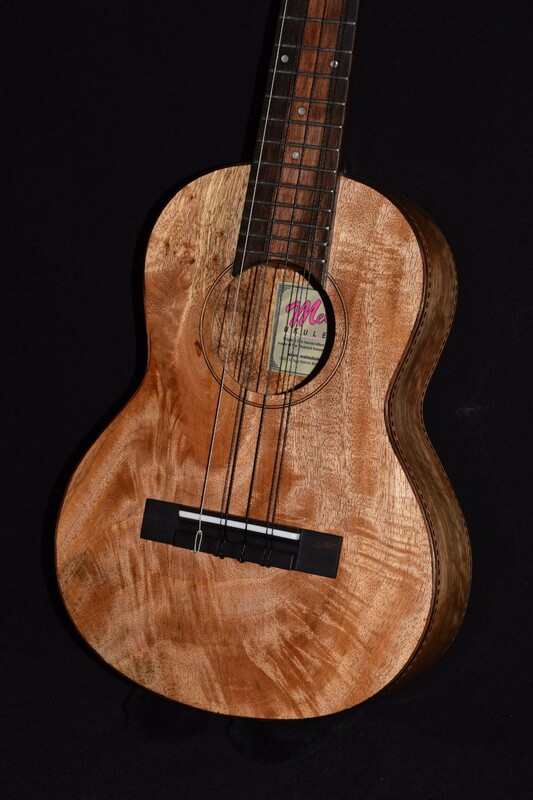 Here in Hawaii, ukuleles have been made out of mango wood since the 1880’s, but not a whole lot of them. 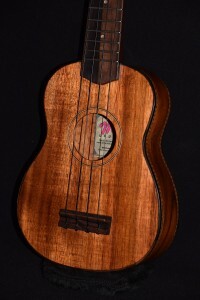 Mango wood is a remarkably good tonewood, with a unique look and unique tone. Some legendary Hawaiian musicians have played mango wood instruments, but mango is challenging to work with, so they’ve been difficult to obtain. Recently, some mass-produced mango or part-mango ukes from China and Indonesia have become available. 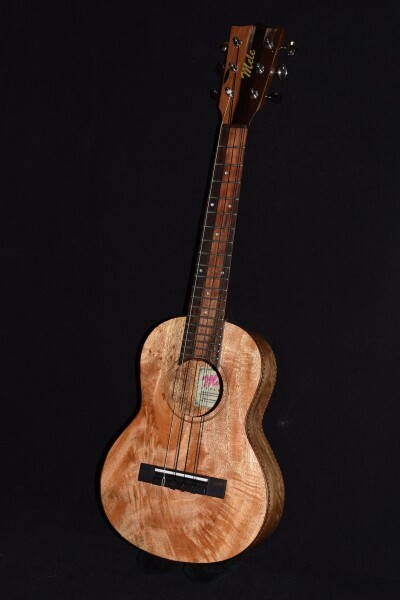 However, handmade mango wood instruments continue to sell for $2,000 and up- until now! 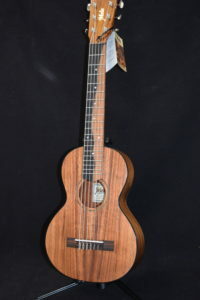 This great-looking and sounding 6-string tenor is entirely handmade, just like all the Mele ukuleles we are proud to offer. 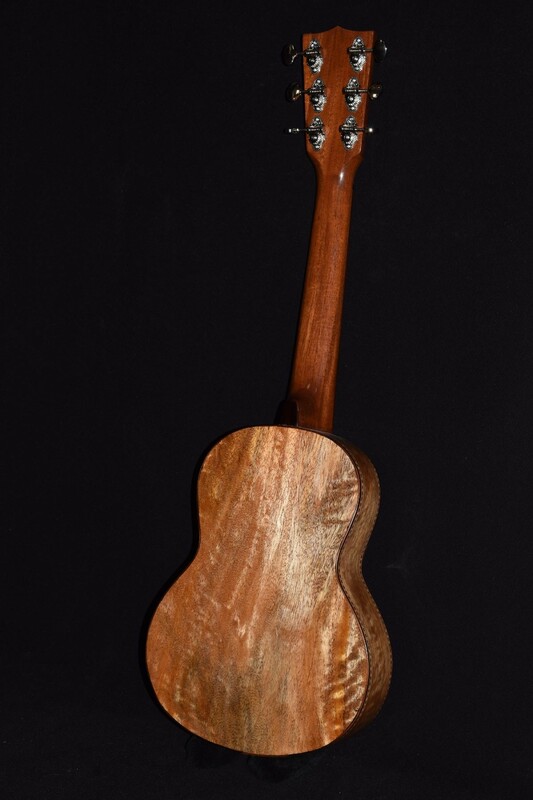 Like our mahogany and koa models, it features a strong, stable steel-reinforced mahogany neck with an ebony fingerboard, bridge and binding. 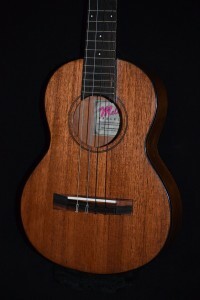 Tuners are top-quality Mele geared machines. 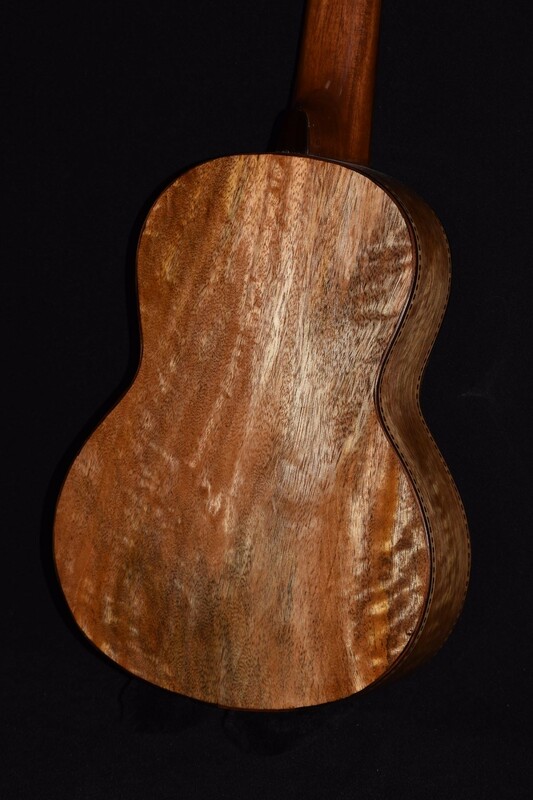 Its tone quality combines the best features of the most desirable tonewoods. Deep and resonant like mahogany, it also offers sweet, crystalline highs like koa, but with mid-range strength and clarity reminiscent of Sitka spruce. 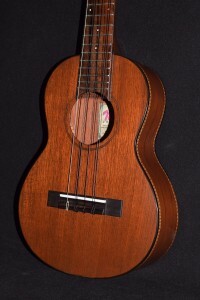 Now we understand why so many musicians have asked us to build mango ukuleles, and we are glad to make and carry them! 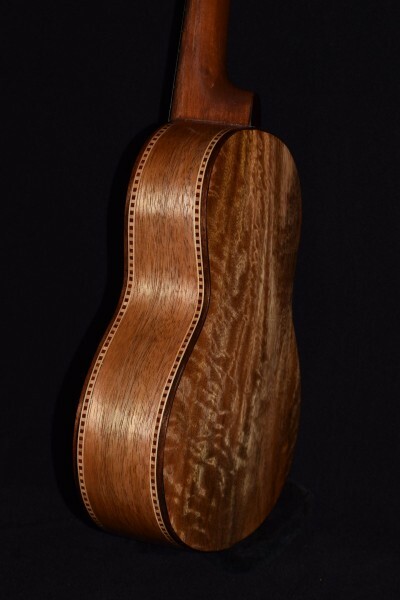 Glossy finish and beautiful curly or spalted wood grain available. Add $100 .